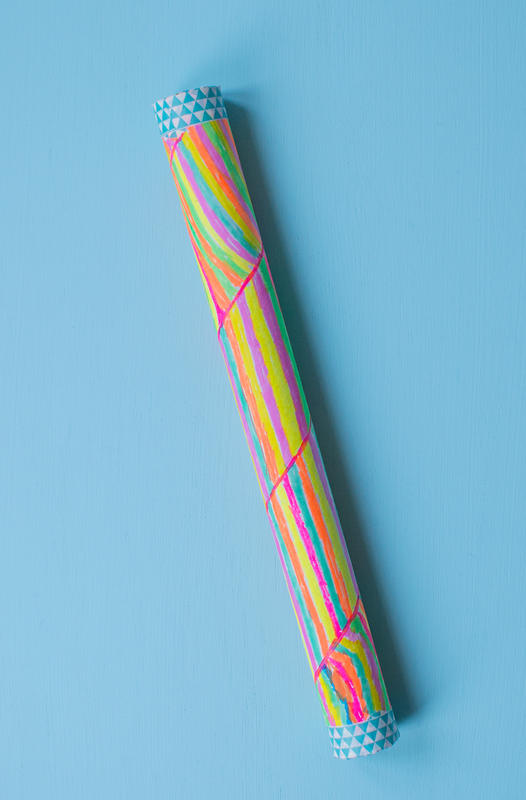 This bright and colourful rainstick is so easy to make and can be done with very little input from parents. Cherry is five and did it all herself. 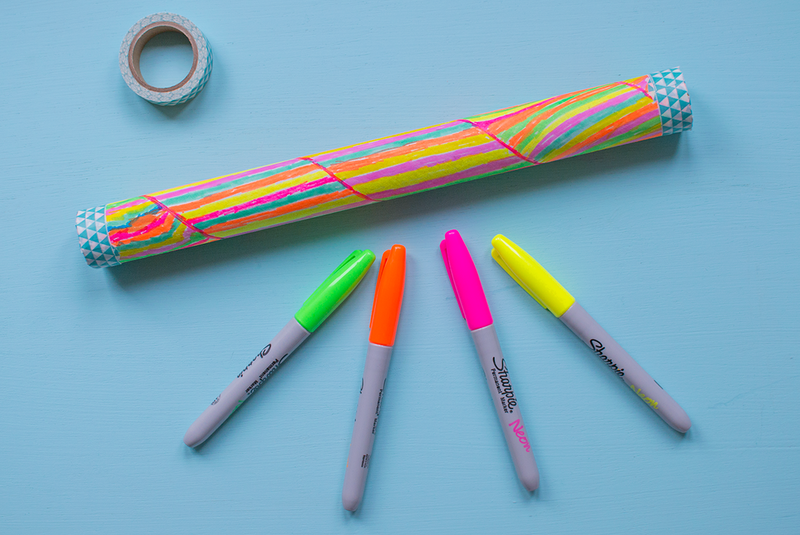 She found the cardboard tube lying around the kitchen, it had come from the inside of a roll of aluminium foil, and she started colouring it in with some pens and when I saw her I asked her if she wanted to turn it into a rainstick, which she did. 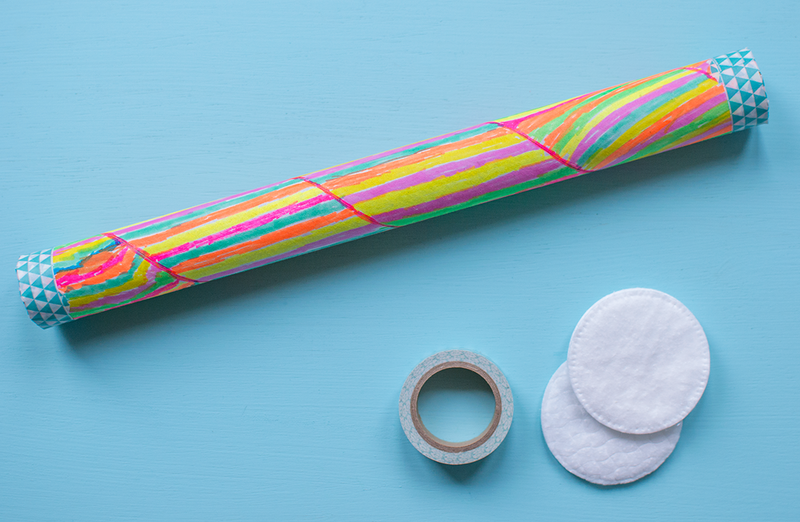 Once the tube had been coloured in we stuffed cotton wool in one end and covered the end with washi tape. 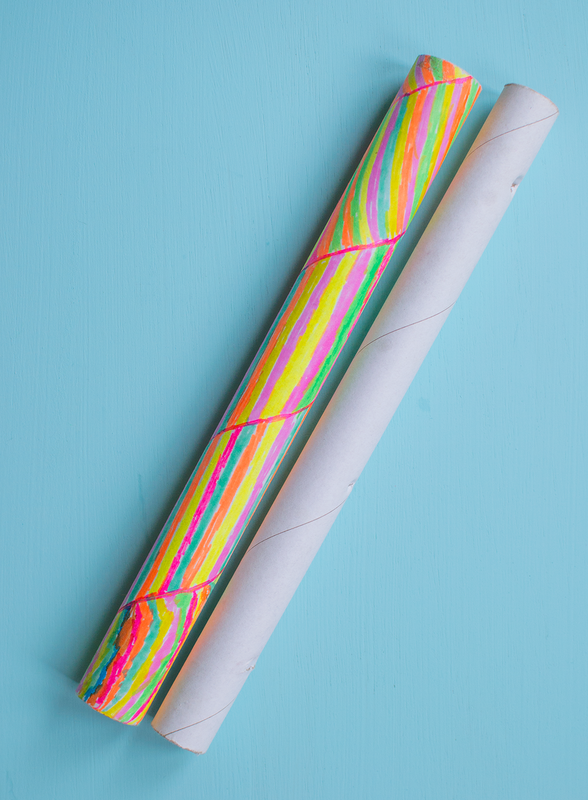 Then we screwed up some balls of paper and stuffed them in the tube, just to slow down the grains when they are falling through the tube. We then poured in some quinoa before stuffing the other end with cotton wool and sealing with washi tape like the other end. 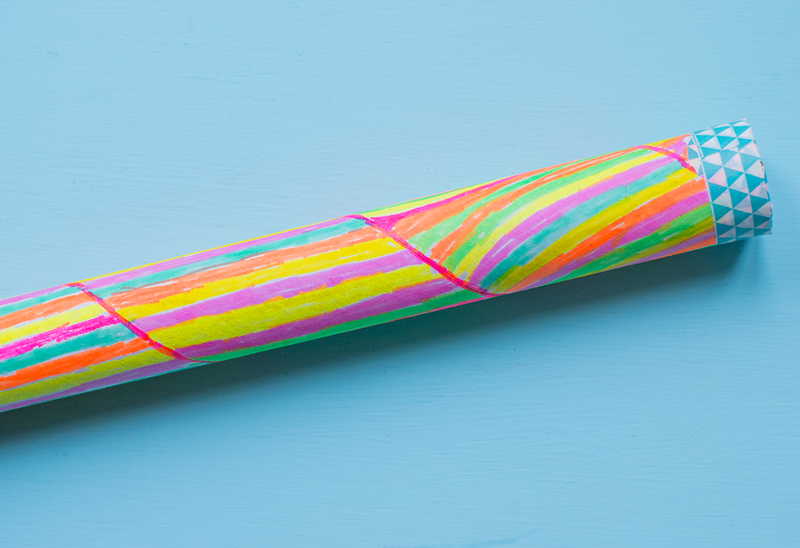 If you have any cardboard tubes lying around then this is a fun use for them. If you like this kid’s craft then you might also like.. The Easiest Felt Flowers – These really are so simple to make and there is no mess involved as they don’t require glue! Cotton Wool Trees – We had great fun making these out of sticks and cotton wool! 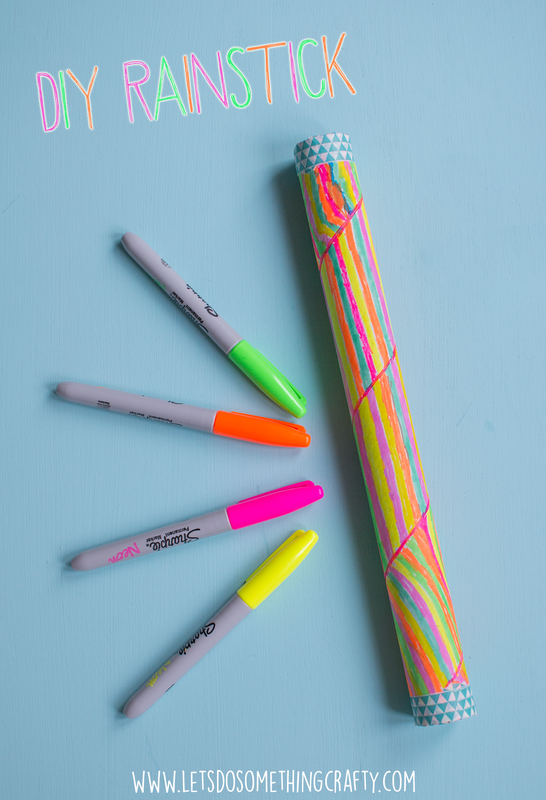 And for more ideas you can follow me on Pinterest.